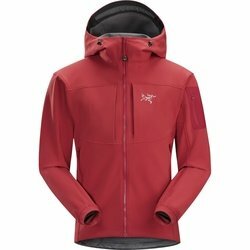 ARC'TERYX Gamma MX Hoody. This wind resistant, breathable hoody is perfect for alpine specialists looking for enhanced mobility. A tough, wind resistant outer face sheds moisture and a light inner fleece adds warmth while wicking away moisture. The warmest Gamma softshell hoody in the Arc'teryx Essentials collection.